"Having grown up in Ontario, we hold a nostalgia for crisp, winter days. Hearing the crunch of snow under our feet, building snowmen, and most importantly, spending a day tobogganing with friends and family. 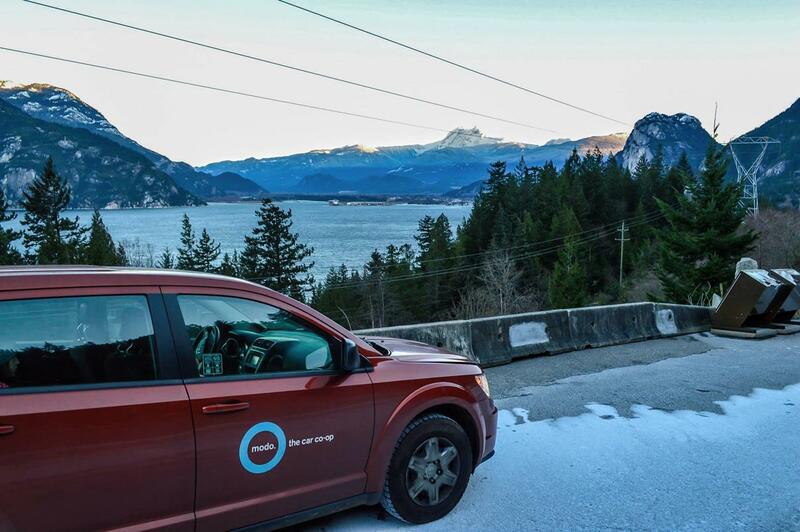 So with the help of Modo, we booked a Dodge Journey, piled all our snow gear into the roomy trunk, and set off North to Whistler and a Winter Wonderland." 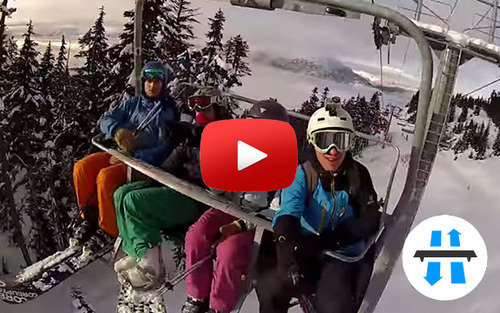 Thanks to The Bruntletts for sharing their packed-full-o-fun day in Whistler! Read more about how this velo-based carsharing family is living "The Happy City" lifestyle (as in Charles Montgomery's book) in their "Living the Happy City" series on Vancouver Is Awesome. New location on The Drive! 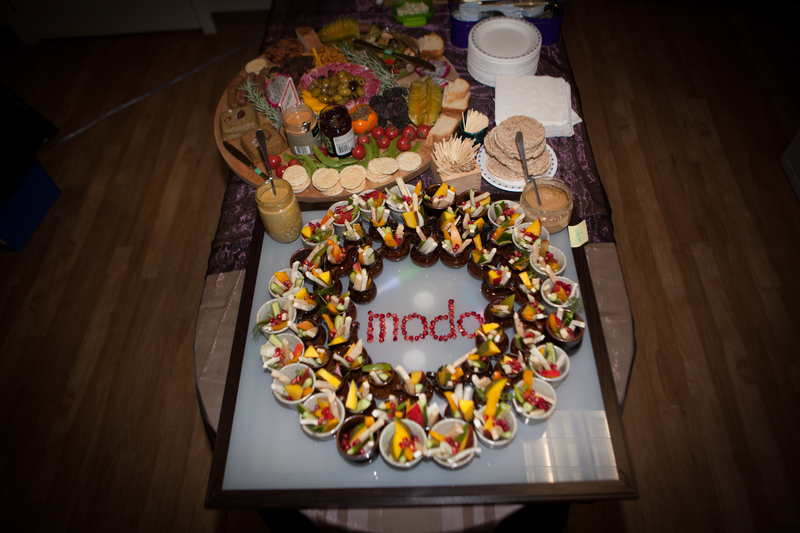 On January 29, Modo's member-owners will come together for our Annual General Meeting, Fair and After-Party. At the AGM, we'll review and celebrate the previous year's operational and financial achievements, present on upcoming initiatives, vote on the proposed amalgamation with Victoria CarShare and re-elect two of our current Board directors by acclamation. Before the meeting is called to order, from 6–7 pm, attend the Modo Fair to meet staff, learn about the exciting new projects each department is working on and give feedback about how we can up our game. RSVP to attend (everyone is welcome; only shareholding members may vote). Meet and mingle with the Modo community following the AGM! As in year's past, we'll transform the Modo office into an intimate house party and enjoy a beautiful spread of delectable edibles, local beer and wine, music by our favourite DJ, dancing, and the chance to meet other Modo members, partners and friends. RSVP for the After-Party. Last year’s party sold out so get your (free) tickets ASAP! This Prius C looks brand new but a quick inspection reveals a scratch reported by a member. Our fleet team is dedicated to keeping our vehicles in tip-top shape, but accidents happen and we need your help to manage the damage. Remember, a quick call to Modo is your solution for problems, from damage to battery drains! 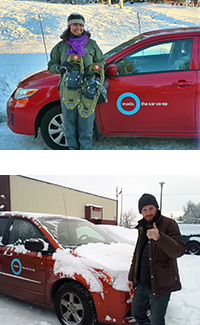 2014 was a great year to #LetsModo with HitchWhistler, which recently relaunched as HitchPlanet to serve ridesharers from the Island to the Interior! 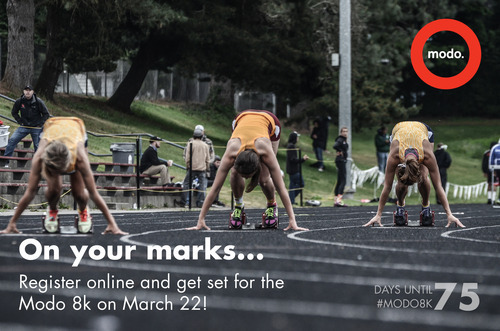 We're counting down to the Modo Spring Run-Off 8k on March 22! Register online and go the extra mile by becoming a fund raiser for our charity partner, Take a Hike Foundation! >> HOW-TO VIDEO A 1-minute how-to video for first-time bookers of Modo's accessibility van. >> SNOWSHOE Long-time members Joanne and Mike share their annual snowshoeing adventure on the North Shore! >> MAP IT OUT Find yourself looking for a carwash or gas station during a booking? We're building a handy map to point you in the right direction. >> FILMMAKERS ROADTRIP Did you know The Cinematheque does a travelling education program? #LetsModo to Quesnel and back! >> VERTALITY5 The Board of Change is celebrating five years of Vertality! RSVP to network with innovators, changemakers and social entrepreneurs. >> DISCORDER MAG moves magazines and music with Modo! Look for our booth on January 17! There's now a 2009 red Dodge Grand Caravan (#293) instead of a 2008 Toyota Sienna. 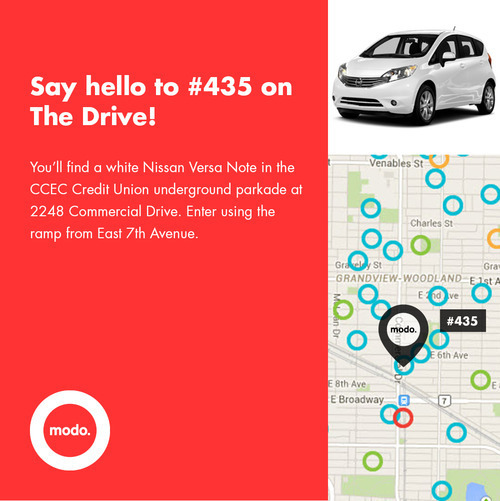 Find a 2015 red Fiat 500 (#597) instead of a 2009 Dodge Grand Caravan. 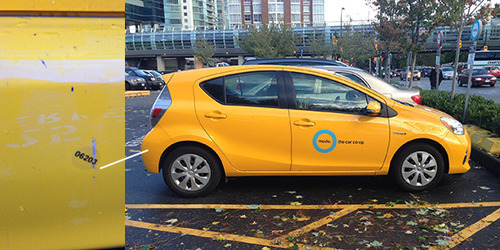 Members can find a minivan nearby at Royal Oak SkyTrain. Find a 2012 blue Toyota Matrix (#405) instead of a 2011 green Toyota Matrix. We temporarily have five cars at this location! Awaiting their permanent homes are a 2014 silver Toyota Prius C (#584), a 2015 red Fiat 500 Abarth (#586), and a 2015 blue Mazda 3 wagon (#592), in addition to the Mazda 2 and Ford Ranger. There's now a 2015 blue Mazda 3 wagon (#595) instead of a 2009 Suzuki SX4.